Jane Scrivner Skincare 5-A-Day Ritual takes the guesswork out of creating a complete facial care protocol. This set offers products for both day and night that support the look and feel of healthy, balanced skin. This facial treatment kit includes Nourish Cleanser to cleanse away dirt and debris, Skinfoliate for a feel of freshly smoothed skin, Bioluronic Buzz for a feeling of replenishment, Skin Elixir “non-oily” facial oil, OO Cream for luxe matte-finish moisturizer, a Fluffy Mitt and product scoop (a savings of $22 when purchased separately). Jojoba oil, the oil most closely matched to the skin’s own sebum, keeps the complexion looking comfortable and healthy, while frankincense, sandalwood, ylang ylang, and orange dulcis oils instill a look of clarity. 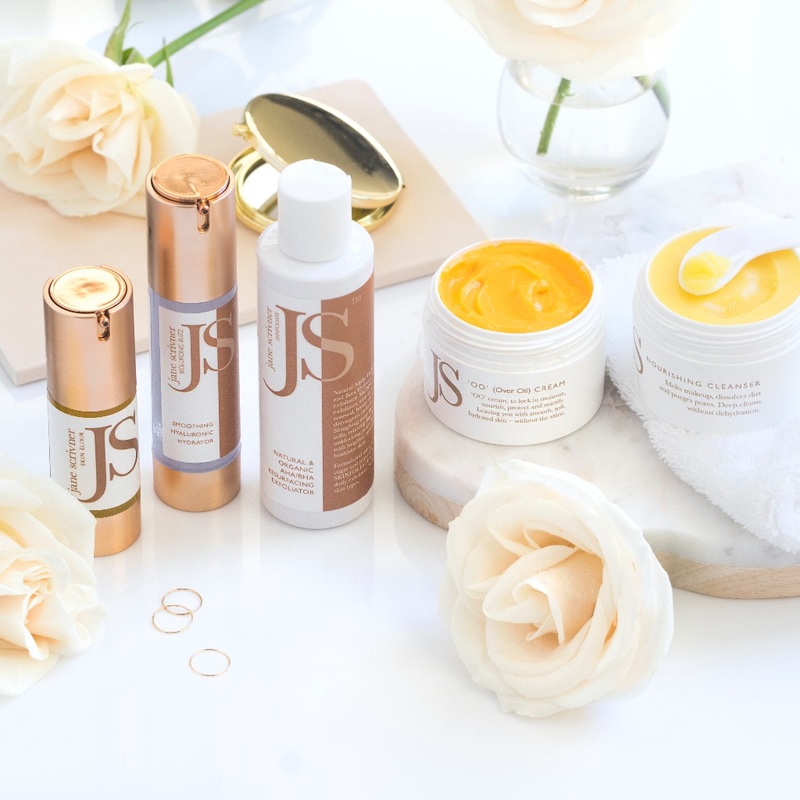 Designed for all skin types, this Jane Scrivner skincare set combines the essentials for a beautiful skin regimen to maintain a healthy look. Begin by massaging Nourish Cleanser onto skin to remove makeup and cleanse away impurities, then remove with warm water and the fluffy mitt. Run the mitt under cool water and press into skin for a feeling of toning and revitalization. Use Skinfoliate one to two times weekly after cleansing by adding a few drops to a cotton pad and gently swiping over face, neck, and décolleté. This step may be done more often as necessary, but take care to never exfoliate irritated skin. Allow Skinfoliate to set for a minute or two, then apply Bioluronic Buzz by dispensing onto cotton pad or fingertips and massaging onto skin. Use both morning and night. This product may be used to moisturize arms and legs too. 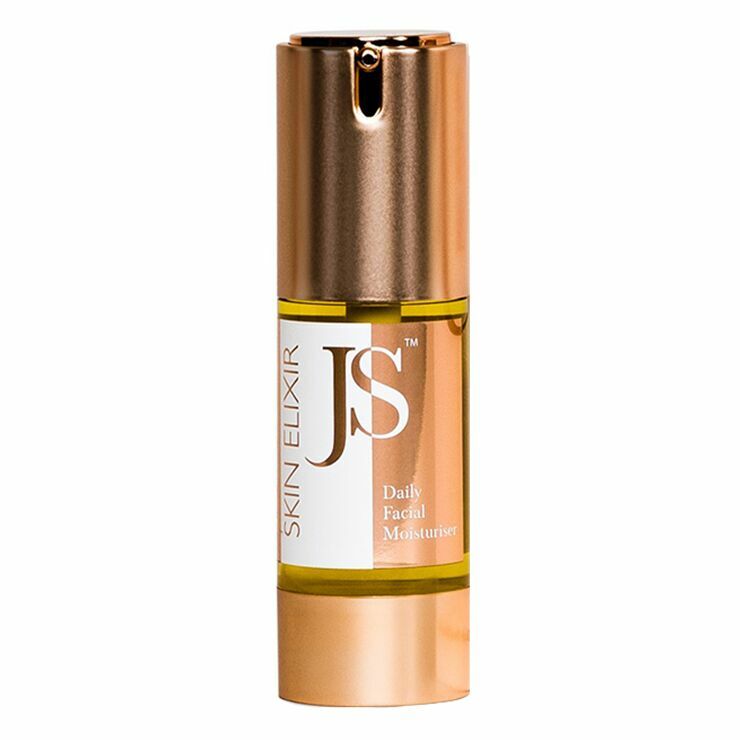 Next, apply one pump of Skin Elixir to fingertips and press onto skin, focusing on dry areas. 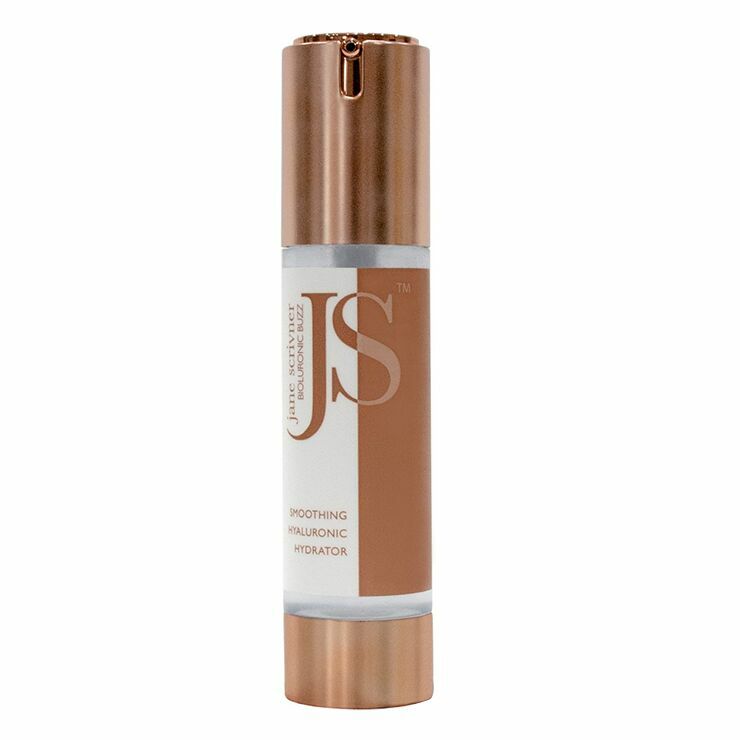 Use as a daily moisturizer, this non-greasy facial oil is perfect for use under makeup. 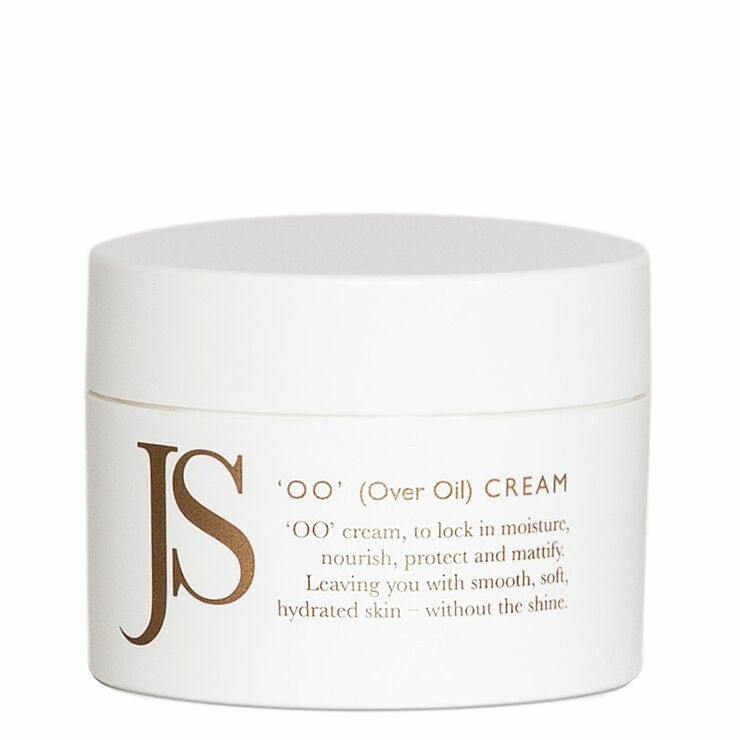 Finish by applying a light layer of OO Cream onto face and neck. The Face Lift Blade may be used after all skincare steps or as part of your cleansing ritual. Move the tool over skin in gentle lifting strokes, beginning at the neck and working up to chin, cheeks, nose, and forehead. 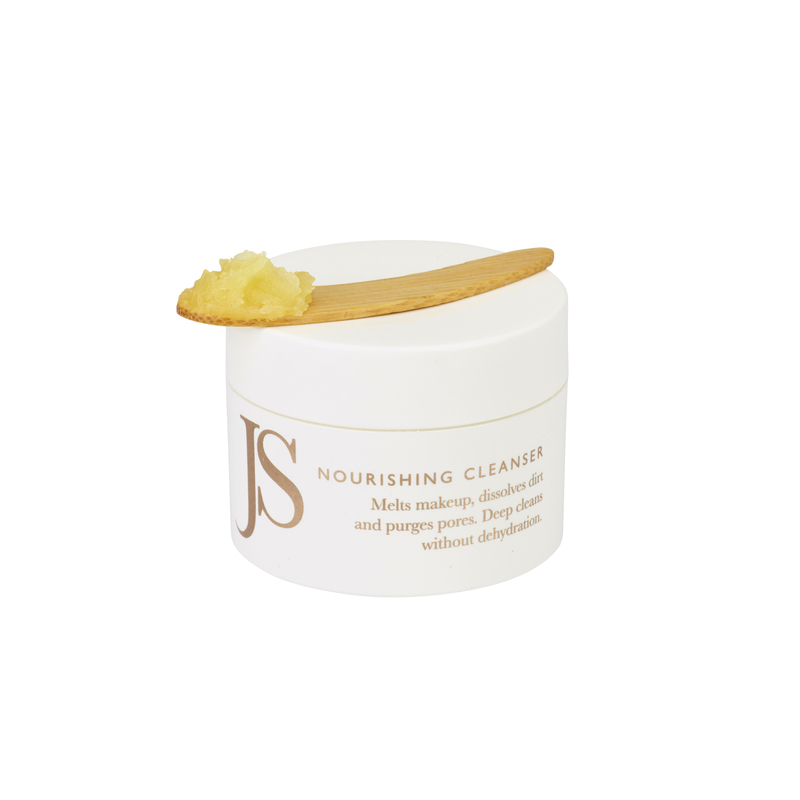 Nourish Cleanser: Organic Jojoba Oil*, Beeswax, Essential Oils Of Ylang Ylang, Elemi, Eucalyptus, Frankincense, Lemongrass, Lavender, Myrrh, Sandalwood And Sweet Orange. Skinfoliate: Aqua (Water), Acetic Acid, Lactic Acid, Vaccinium Myrtillus Fruit Extract, Benzyl Alcohol, Saccharum Officinarum Extract, Salix Alba Bark Extract, Lavandula Angusifolia Oil, Ananas Sativus Fruit Extract, Acer Saccharum Extract, Citrus Aurantium Dulcis Fruit Extract, Salicylic Acid Arctium Lappa Root Extract, Hamamelis Virginiana Leaf Extract, Sorbic Acid, Glycerin. Skin Elixir: Jojoba Oil*, Essential Oils of Ylang Ylang, Elemi, Eucalyptus, Frankincense, Lemongrass, Lavender, Myrrh, Sandalwood and Sweet Orange. OO Cream: English Spring Water Aqua, Oat Kernel Extract Avena Sativa*, Aloe Vera Aloe Barbadensis, Sun Flower Helianthus Annus*, Shea Butter Butyrospermum Parkii*, Cetearyl Alcohol (Emollient from Coconut), Argan Argania Spinosa*, Rose Hip Extract Rosa Canina*, White Birch Betula Pendula, Glyceryl Stearate (Coconut Origin Emulsifier), Calendula Calendula Officinalis, Phenylethyl Alcohol Natural (Ecocert Preservative), Coco Glucosides (Coconut and Fruit Sugar Thickening Agent), Eye Bright (Euphrasia Officinalis), Orange Citrus Aurantium*, Palmarosa Cymbopogon Martini, Rose Geranium Pelargonium Graveolens*, Tocopherol Vitamin E, Rose Absolute Rosa Centefolia, Vanilla Vanilla Plantifolia, Benzoin Styrax Benzoin, Sodium Phytate (Salt Form Of The Corn Derived Phytic Acid), Sodium Hydroxide, (Alkaliser Made by Leaching Ashes to Maintain PH Balance of Materials) Benzyl Alcohol (Plant Derived Preservative).